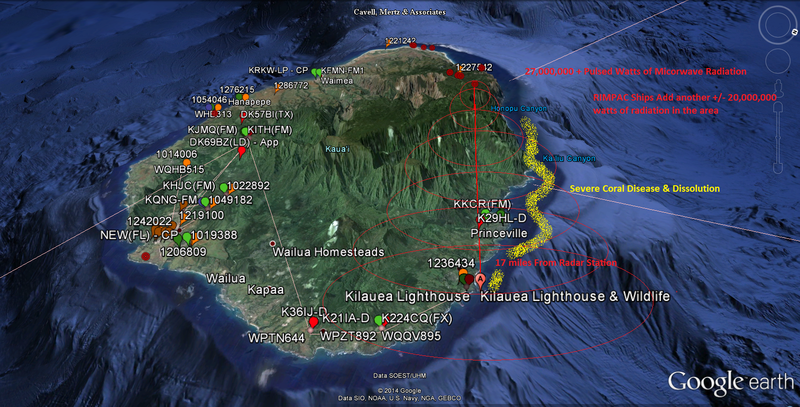 I did a scuba dive yesterday outside of the Kilauea Lighthouse on the west end of Moku’ae’ae Island. 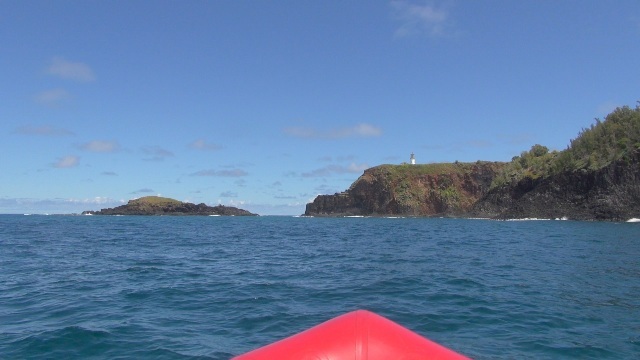 This is a beautiful dive site that very few humans have visited due to the large surf, constant wind and upwelling currents. 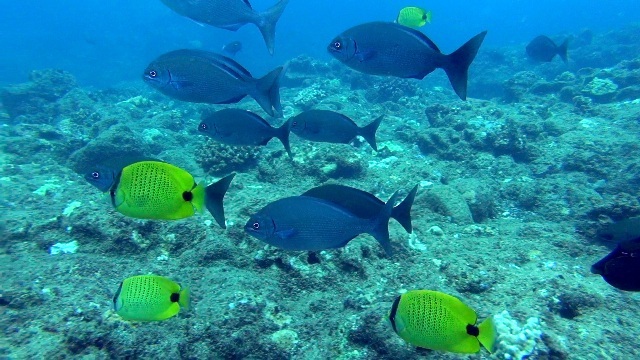 Three years a go I discovered an underwater canyon packed with fish and other marine life. 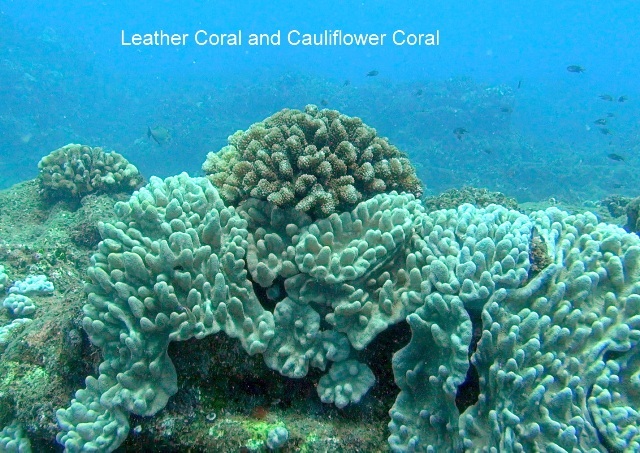 The corals in this canyon were in perfect shape and I found the largest garden of soft leather coral I have ever seen in Hawaii. 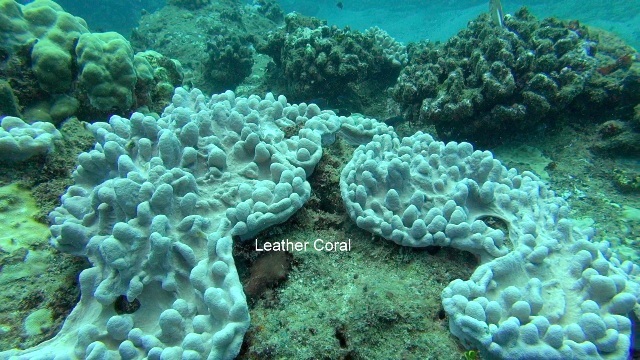 This coral is soft and can easily be bent over with your hand. 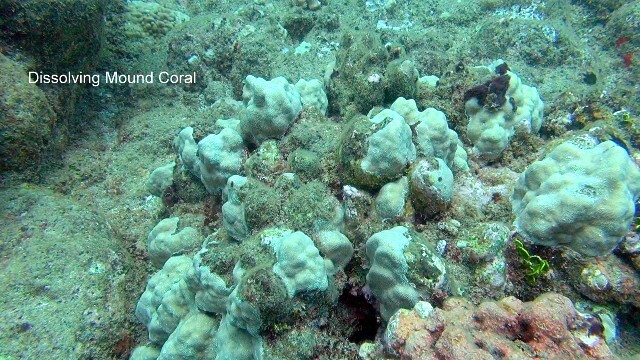 I have only found this rare coral in three locations in Kauai. It is truly a beautiful sight to see. 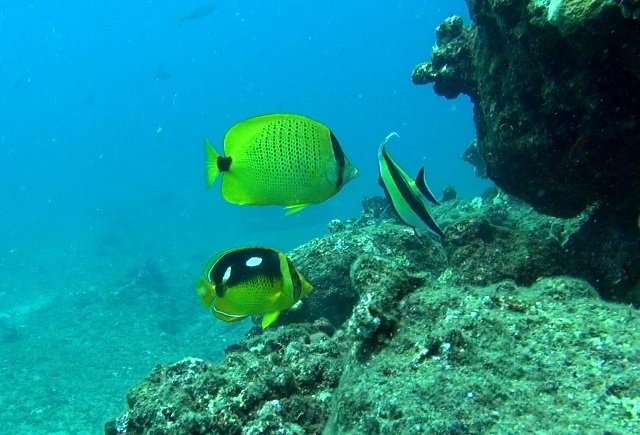 But on yesterdays dive I shot video of the once healthy reef and most of the hard corals were dead or dissolving, just like other dive sites along the north shore of Kauai. 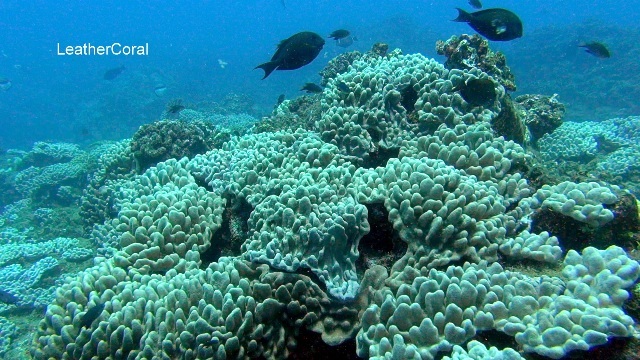 This reef is usually kept clean and free from land based pollution due to the deep water daily flushing it gets. 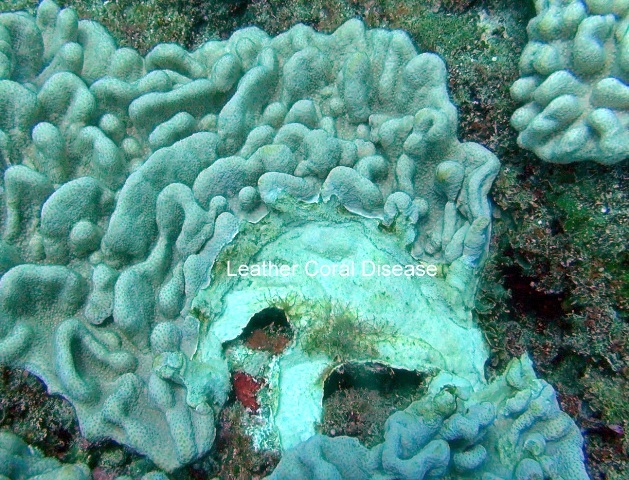 Leather coral only grows in clear, clean water. 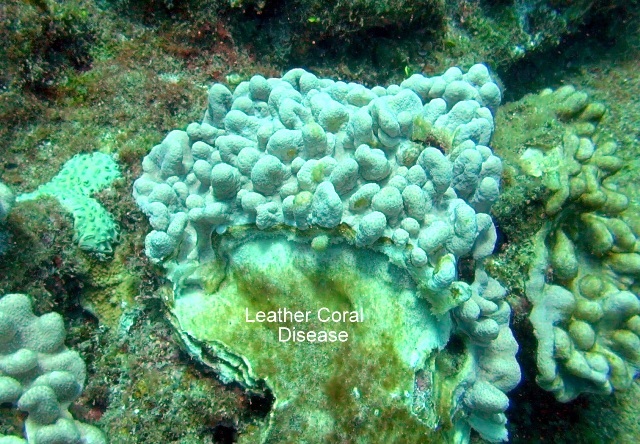 Since most of the corals had died the leather coral stood out as the dominant life on the reef but many of these soft corals are now diseased and rotting away. 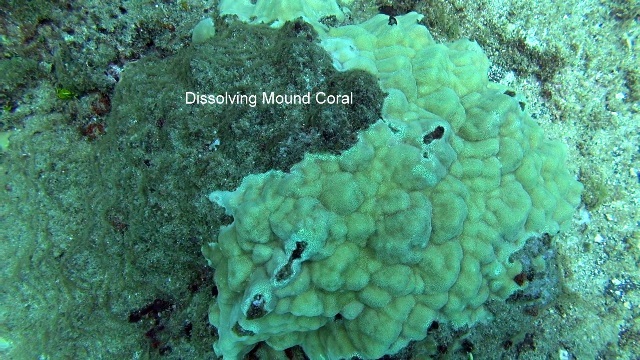 The disease is spreading in a semi circle across the coral looking similar to the cyanobacterial disease killing the rice corals all up and down the north shore! 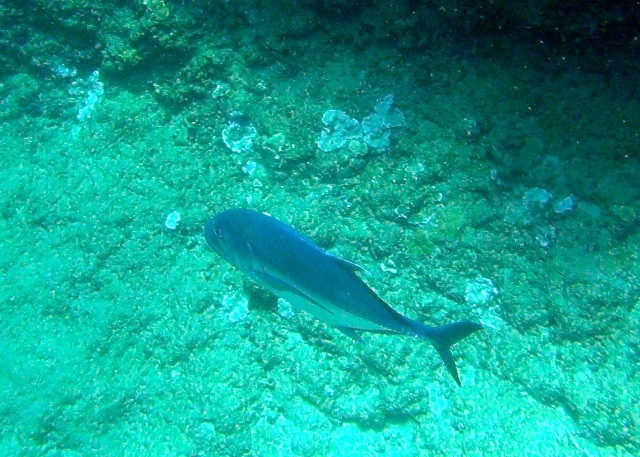 There were still a lot of fish on the dive and I took video of the beautiful butterfly fish, schools of surgeonfish and two giant ulua cruising by. 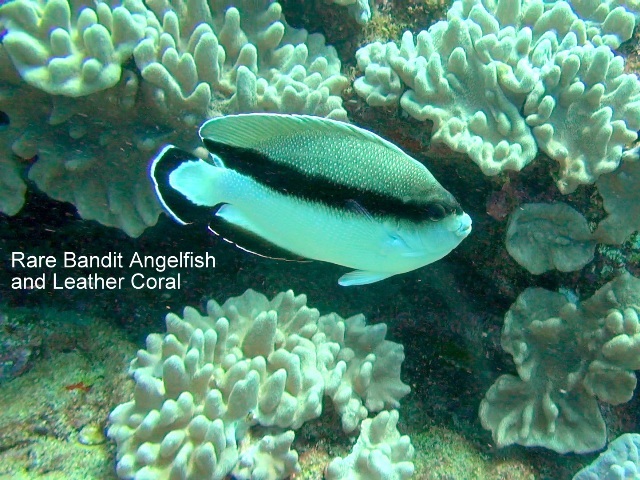 But I was surprised to see a pair of very rare Bandit Angelfish and this pair of fish seemed like they were protecting the leather coral. 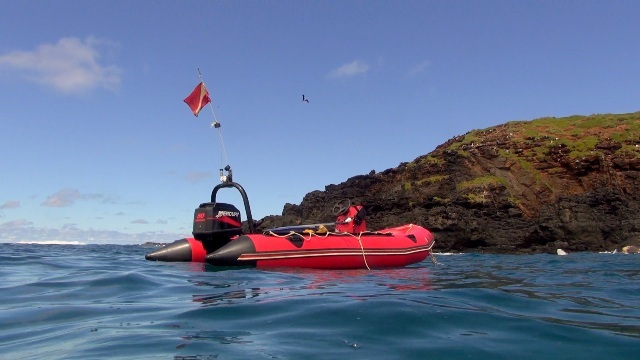 I shot some amazing video that we will post soon on my Facebook page. 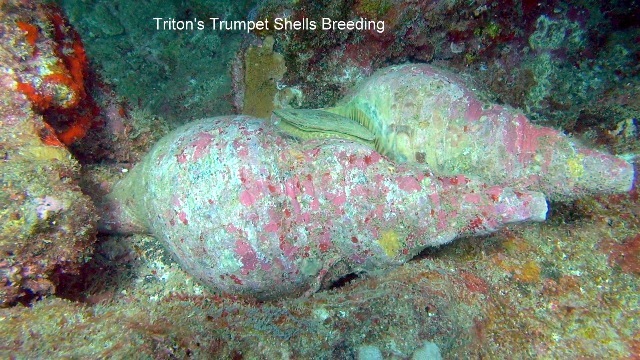 Here are some pics out of my video of the dissolving mound corals, beautiful carpet of leather coral, the leather coral disease, the fish in the area and even a pair of large Trident Trumpet shells breeding! !